Wilbur is the pet piglet of a young girl named Fern Arable. On the morning after he was born, he was going to be killed by Fern's father John, because he was a runt in his litter of 11. Unfortunately, when he grows into an adult pig, Fern is forced to take him to the Zuckerman farm, where he will be prepared as dinner in due time. Charlotte A. Cavatica, a spider, lives in the space above Wilbur's sty in the Zuckermans' barn; she befriends Wilbur and decides to help prevent him from being eaten. With the help of the other barn animals, including a rat named Templeton, she convinces the Zuckerman family that Wilbur is special by spelling out such descriptions as "Some Pig" in her web. Charlotte gives her full name as "Charlotte A. Cavatica", revealing her as a barn spider, an orb-weaver spider with the scientific name Araneus cavaticus. E.B. White was born in Mount Vernon, New York and graduated from Cornell University with a Bachelor of Arts degree in 1921. He picked up the nickname "Andy" at Cornell, where tradition confers that monicker on any student named White, after Cornell co-founder Andrew Dickson White. He wrote for The Seattle Times and Seattle Post-Intelligencer and worked as an ad man before returning to New York City in 1924. He published his first article in The New Yorker magazine in 1925, then joined the staff in 1927 and continued to contribute for six decades. Best recognized for his essays and unsigned Notes and Comment pieces that were widely read as the magazine grew in influence, he gradually became the most important contributor to The New Yorker at a time when it was arguably the most important American literary magazine. He also served as a columnist for Harper's Magazine from 1938 to 1943. In the late 1930s he turned his hand to children's fiction on behalf of a niece, Janice Hart White. 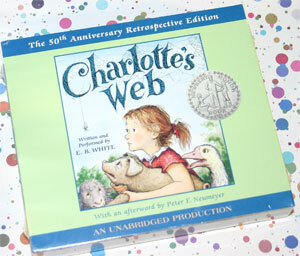 His first children's book, Stuart Little, was published in 1945, and Charlotte's Web appeared in 1952. Both were highly acclaimed, and in 1970 jointly won the Laura Ingalls Wilder Medal, a major prize in the field of children's literature. In the same year, he published his third children's novel, The Trumpet of the Swan. In 1973, that book received the Seqouyah Award from Oklahoma and the William Allen White Award from Kansas, both of which were awarded by students voting for their favorite book of the year. In 1959 he edited and updated The Elements of Style. A handbook of grammatical and stylistic do's and don't's for writers of American English, it had been written and published in 1918 by William Strunk Jr., a professor under whom White had studied at Cornell. White's rework of the book was extremely well received, and further editions of the work followed in 1972, 1979, and 1999; an illustrated edition followed in 2005. That same year, a New York composer named Nico Muhly premiered a short opera based on the book. The volume is a standard tool for students and writers, and remains required reading in many composition classes. "Government is the thing. Law is the thing. Not brotherhood, not international cooperation, not security councils that can stop war only by waging it...Where does security lie, anyway - security against the thief, the murderer? In brotherly love? Not at all. It lies in government." White married Katharine Sergeant Angell in 1929, also an editor at the magazine and author (as Katharine White) of Onward and Upward in the Garden. They had a son, Joel White, a naval architect and boatbuilder, owning Brooklin Boatyard in Brooklin, Maine. Katharine's son from her first marriage, Roger Angell, has spent decades as a fiction editor for the New Yorker and is well-known as the magazine's baseball writer. White's style was wry, understated, thoughtful, and informed. He was widely regarded as a master of the English language, noted for clear, well-constructed, and charming prose. Many readers single out his essay "Here Is New York," written for Holiday magazine in 1948 and published in book form the next year, for its distillation of the bittersweet pleasures of New York City life. It was widely quoted after the terrorist attacks of September 11, 2001, because of a passage--written at the beginning of the age of nuclear weapons--in which he talks about New York's vulnerability: :"The city, for the first time in its long history, is destructible. A single flight of planes no bigger than a wedge of geese can quickly end this island fantasy, burn the towers, crumble the bridges, turn the underground passages into lethal chambers, cremate the millions. The intimation of mortality is part of New York in the sound of the jets overhead, in the black headlines of the latest edition."